We are looking to use Jotform to submit pictures to a Dropbox, we are looking at subscribing and was just wondering if there’s any discounts for paying an entire year at once? 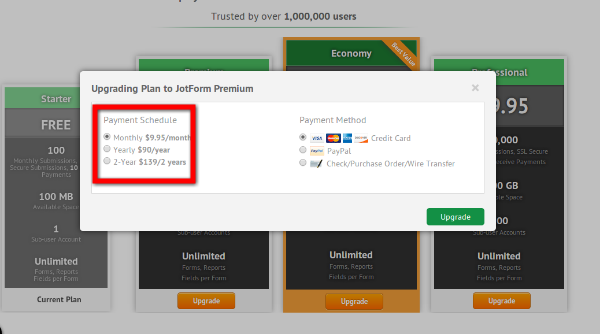 we have special prices if you are planning to pay a year from upfront, please check our pricing page https://www.jotform.com/pricing, after selecting a plan, you will see the special price depending on your payment schedule. could you open a new thread about this request, in order to give you better help.